STANA renders assistance to enterprises in the preparation of documents and certification of products in accordance with the European Union Directives. STANA is the authorized partner of many leading European notified bodies and testing laboratories, and for that reason, it can offer the most relevant decision. STANA performs works on product test and certification by own strength in order to grant the right to the manufacturer to affix the CE marking on its products. Works shall be performed under the control of the European notified body. CE Certificate of Conformity shall be prepared and issued upon receiving positive test results and after examination of documentation and inspection of production. Compliance verification is a complicated procedure, because schemes, models and requirements are different depending on the Directive applied to the products. Proper preparation of the Technical Documentation File is essential for the European certification procedure, because once approved this document gives the Certification Authority the right to make an assessment of the compliance of the products with the applicable European directives. CE Certificate of Conformity shall be issued subsequent to the results of carrying out all compliance verification procedures. This Certificate grants right to affix the CE marking on the products and shall be the pass to the European market. 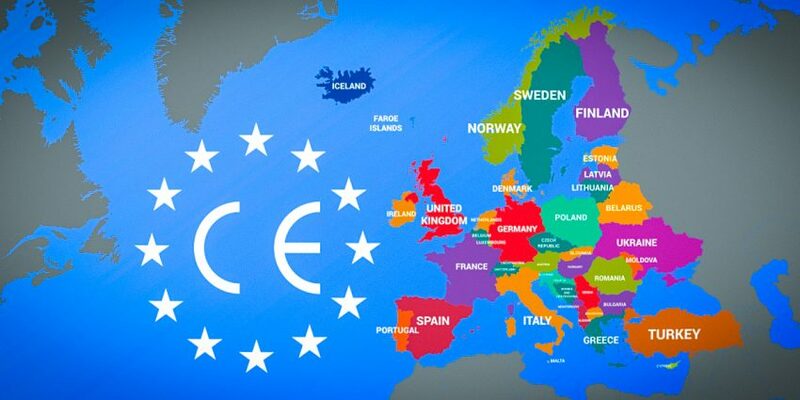 Determination of the European Directives, list of applied European standards and certification schemes for the compliance verification. Examination of the manufacturer’s Technical Documentation File for compliance with the requirements of the European Directives. Performance of product tests by the accredited test laboratory. Assessment of production (or assessment of the Quality Management System, as may be necessary). Assessment of documentation by the European notified body. Preparation and issue of the CE Certificate of Conformity. Conduct of the compliance audit to prove compliance of the products with imposed requirements.